American Paint Horses are known for their colorful coat pattern and stock horse body type. This model horse is captured with its flowing mane in a gallop pose. 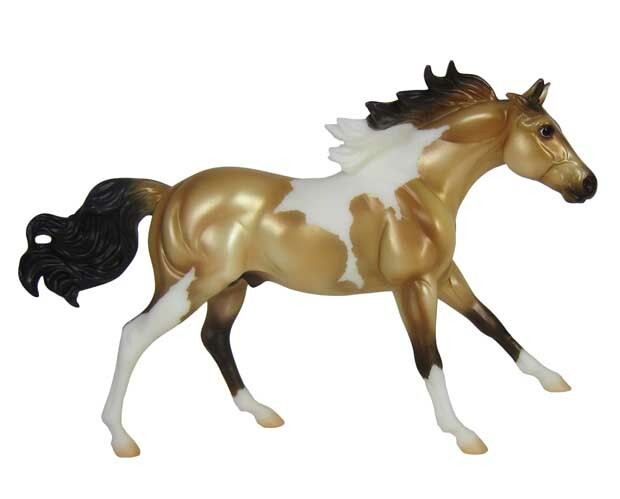 Imagine the hours of play time to be had with this fun model horse from Breyer. This 1:12 scale model is authentically crafted and hand painted and is perfect for young collectors. Box Size: 11" x 2.65" x 8".